The historic city of Annapolis offers the perfect place to raise a family, start a career after college or even retire. The city boasts plenty of historic charm, much to see and do and very competitive real estate prices. In addition, Annapolis plays host to great public schools courtesy of the Anne Arundel County Public School District, a robust transportation network and a strong economy anchored by national security, healthcare, government, telecommunications and manufacturing. For those looking to move to Maryland, this city offers an unbeatable deal. Annapolis, MD homes include historic townhouses filled with charm and character, single-family homes, starter homes, condos and multifamily homes as well. Annapolis MD real estate enjoys close proximity to nearby cities like Baltimore and Washington, D.C. as well as competitive prices and strong property values. Annapolis homes and other Annapolis real estate options are popular among young professionals just starting out in the city, families in the area and military families as well. One of the nation’s oldest cities, Annapolis was founded in 1649 and formally incorporated in 1708. The city built a prosperous economy based on shipping and industry and later served as the temporary capital of the United States shortly after the American Revolution. It soon became known as the location of the U.S. Naval Academy and today is renowned for its mix of historic charm and modern amenities, making it one of the most coveted places to live in Maryland. Real estate in Annapolis offers easy access to the city’s abundant parks and beautiful public spaces. Some of the city’s finest parks and recreation facilities include Truxton Park, Waterworks Park, the Annapolis Sports Complex and many others. 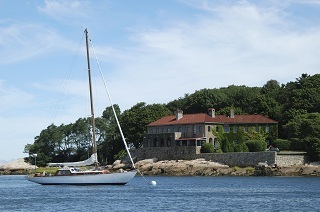 Chesapeake Bay is one of the most famous and scenic waterways on the east coast for sailing and sightseeing. Homes for sale in Annapolis enjoy close proximity to the city’s wealth of local attractions and activities. 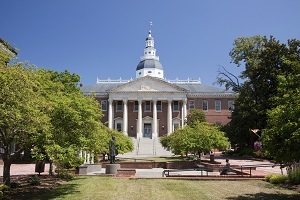 The United States Naval Academy offers public tours while the historic Maryland State House is another must-see attraction. Sandy Point State Park also offers scenic views and the perfect place to relax and spend some leisure time. The city also boasts an impressive collection of art galleries, restaurants, shops and charming boutiques worth exploring as well. Events and activities in Annapolis include U.S. Navy football games, tours of the Governor’s Mansion, a Memorial Day parade and much more throughout the year. Annapolis homes for sale and other Annapolis properties offer superb quality, reasonable prices and great value overall. Those looking to become an Annapolis home buyer should call Coldwell Banker agent Mary Ann Elliott at 410-991-4000 today. Mary Ann has a line on the best deals in Annapolis, and can help you sort through the options to match you lifestyle and budget. With its historic character, exceptional quality of life and affordable property choices, Annapolis is one of the hottest real estate opportunities in Maryland today.